Im an 85 Diabolist, and generally help in team fights by using Transfix via the Spider symbol, along with others. However, I heard some complaints that Transfix is currently bugged or is an exploit? is that true? I don’t want to exploit something broken. Otherwise, Diab's is a powerful one as a comboable transfix, so I'd expect to hear more complaints. Valid question, but yeah, there is no "don't you dare use it, or else" sentiment/agreement that I know of (like there is with earrings, for example). Writhing in general is bugged right now in that autocuring will often randomly restart writhing, causing the writhes to last far longer than they should. Whilst it's difficult to avoid using writhes entirely, I'd still say it is more than a little lame if anyone is encouraging you to use transfix, etc a lot, or if you've got allies who're pushing entangle spam of any kind. But I don't think anyone decent is doing that right now, right? Cool, thanks for the heads up. I'll use it sparingly, and definitely not spam it. Yes, autocuring has issues but it's not abusing any form of bug to be using your class skills when they, themselves, are not bugged. Transfix away; ignore the haters and whiners. "Git gud" as Galt says. Emphasizing entangles is taking advantage of the bug, even if the bug lies outside the skillset. It's analogous to swiping your credit card at a store and not getting charged on the card despite being handed a receipt, discovering this fact, and making a point to "buy" as much stuff as possible while saying, "Hey, I'm swiping my card, it's not my fault." Are you also one of those people who equate killing someone in an online game, to beating them up IRL? Because I'm not sure how you could compare a minor, infrequently-occurring bug... To someone that'll likely get you heavily fined, and possibly arrested when it was found out. And also have your credit rating tanked to ****. If you're going to make comparisons between things, actually use ones that make sense. It would be more equivalent to finding a quest that requires you to turn in 10 items, and occasionally it completes when you turn in 6... Or, if keeping to the trend of things you simply can't predict happening... Like the 'bug' that exists with Rynar, where you get the kill the first time he disappears, instead of needing to 'kill' him 4 or 5 times before he finally stays dead. I'm not gonna stop killing Rynar, because he sometimes bugs out and dies on his mechanic. Just like I'm not gonna stop encouraging my team to use entangles, because autocuring sometimes bugs out and double writhes. You can easily set it to ignore writhes, and make your own script. You can't with Rynar. I wouldn't call it "minor", but we've been living with it for this long, and for a bit, people didn't even seem to be sure it was a bug and so forth, and yeah, it's sporadic, and then of course it's integral to so many things. Just think how happy people will be when it's fixed (that is going to happen, right)? I'd be surprised if anyone who's been playing for more than like a year (so not Ryse, obviously) didn't know about it. I reported it close to two years ago, now, and even made a huge post about it happening. Since Jeremy supposedly said at bug day they'd be fixed soon, I'll wait and see. Maybe I'll upload a script for people to ignore writhe affs, and writhe them client-side. I'll have to find out the timings of them all. I agree with Kabaal, though, hence what I said in my previous post: telling people not to use some of their skills because "people will get angry" just isn't tenable. I have hit transfix totems from 66.6% of the participants in this thread (Bloodbath karma @Kalynthari ). C'mon. I can't even with this hypocrisy. I'm not gonna stop using snares. I'm not gonna tell Ryse to not use Spider, or any Diab. 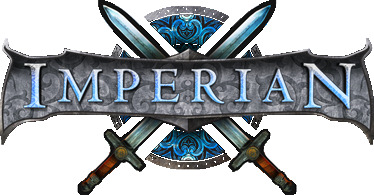 I'm not going to tell knights to remove impale from their offense. I'm not going to tell RGs to remove Wunjo flares with butterfly on ground. Okay Kabaal sure thing, will do. Trace spider spider spider spider at Kabaal. Admin pls ban this man, he's doing 4 symbols per combo. No. It's called an analogy. You can take issue with the analogy, but immediately jumping into an ad hominem attack tells me that you have no idea how to debate. FYI, an analogy needs a similar relationship between the internal entities to make it; it doesn't necessitate the same level of gravitas at all nor does it require that the entire circumstances be replicated. Part of the point of an analogy is to actually have different levels of consequence to demonstrate the absurdity of the original argument. I'm not saying don't use entangles. That's absurd. However, being an entangle-spam bot in groups is easily construed as a deliberate strategy to take advantage of the bug. Your analogy assumed that the bug always happened, so it was off anyway. A better one would be if your card sometimes didn't charge you, not every time, and you had already reported it to the bank. In that case, do you stop using your card? No, because you have to purchase things, and using just cash doesn't let you shop at as many stores (RIP paper currency). Continuing on to the 'don't use plx!' logic, spamming weapon attacks is a deliberate abuse because autocuring also breaks on rebounding. Abusing bug to pipe stack! We should turn them all off to make sure it never happens. @DKs time to spam Decay. It is too general, and the use cases for what is 'wrong' or 'abusive' are too subjective. *That* is why I 'personally attacked' people for using transfix totems. "I only have to use it once!" is a lollapalooza of an argument. So sure, I don't care if you wanna prop a transfix totem or go Zerk and spam transfix or get an abom costume or whatever. Just don't tell my people how to use their skills because you don't like that particular usage and expect me not to point that out. I'm going to chime in with my Supreme Noob-Combatant card and point out that entangle/transfix might just be symptoms of the bug, and not the bug itself. Hence why it's taking so long to slam the fix in. Wasn't an ad hominem, was a question to understand your outrageous thought process. If you perceived it as an attack, then that's on you. You're correct though in that analogies require similar circumstances... Of which yours had none, beyond the similarity being 'it shouldn't be happening'. Which frankly is an absurd base point to start from. Vastly different circumstances, with vastly different outcomes. And no, the purpose of an analogy is to make direct comparisons between two, for the purpose of explaining the effect of something. Not making comparisons between two wildly different and unrelated situations, to see how different they are from one another. Your entire premise made for a very one-sided argument from the start; there was no debate to be had. Entangle and Transfix are incredibly powerful affs in group fights, and that's true regardless of this bug existing or not. Telling a lowbie to spam an entangle in a midsized or more group is a great way for them to start having an impact, and not really taking advantage of this bug. I agree, and well, I think my responses reflect that. And having say, one newb spam entangle is a good way for him to get involved (and very possibly get killed first), which is fine. But man, this actually opens up a whole other topic, and I will just say that if we were even a slightly bigger game, lots of newb entangle in groups would be so incredibly miserable. Miserable enough that I will simply not even log in for friends if that became a thing. Not worth. It also seems to be something that people have had a semi-formal agreement on to avoid (even when people have been at maximum "I hate your face"). Don't think there's been any agreement not to. Demonic certainly never did, and I know it's one thing Septus pretty much always encourages a new person to do while learning. A few seem not to due to some edgy e-bushido honour thing they have. Which is just weird to me, but I mean play the game the way you like I guess. This wasn't e-bushido, this was the kind of thing Khizan would yell at people for even suggesting (because he didn't want it done back to him). "Encourages a new person" (as in, singular, not plural) makes all the difference there. Anyway, hopefully that's all clear to everyone, and well, from here, whatever happens, happens. The writhe bug should now be fixed. Let me know if it isn't as of now. Well, there you go Ryse. Good job. Ask innocent question, inadvertently pour gasoline on forumz, get bug fixed. Just for that you should get a merit badge that Septus doesn't have. Spamming entangles from multiple people onto the same target will have diminishing returns. 2 can manage it with impale. tbf khizan raged at anything that he died to.